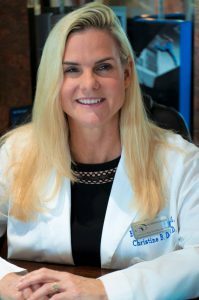 Raised in Naples, FL, Dr. Dee-Reyes has worked as an optometric physician in Fort Myers, Florida for over 20 years. She has been married to Dr. Joseph Reyes for over 20 years and they have one daughter together. Dr. Dee-Reyes is a certified fitness instructor, triathelete, and avid biker & runner.